THE EXTREME NOW WORLD TOUR IS BACK. And it's coming to a city near you! Extreme Networks is taking our NOW World Tour back on the road - get ready to JOIN THE MOVEMENT! The Extreme NOW World Tour Team - including executives and product strategy leaders - will be embarking on the next wave of our multi-city, global roadshow designed to share Extreme's company vision and strategic roadmap, gather feedback, and answer questions on our portfolio enhancements. "Great event that was more valuable than other competitor conferences." "It was AWESOME to see how Extreme surpasses everyone in my book." We're kicking off this year's NOW World Tour with our full-day Forum events in the US and APJC, followed by marquee cities in EMEA and LATAM in early 2019. As we continue to roll out the tour, you will see additional cities hosted across the globe leveraging our half-day Exchange event format. 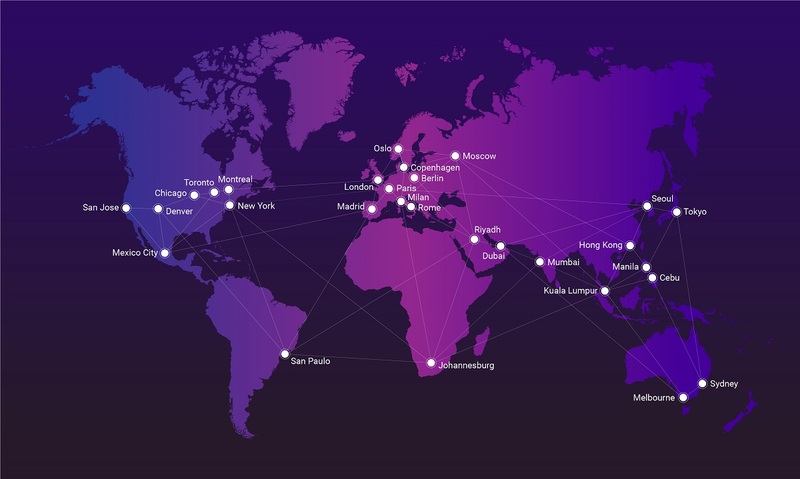 Select your region below to see cities and dates where you can Join the Movement with Extreme Networks. The event is free, but registration is required, so be sure to reserve your spot today! The Extreme Networks NOW World Tour will culminate at Extreme Connect, May 13-16 in Nashville, Tennessee. Our second annual user conference serves as the last stop on the World Tour - you won't want to miss it. Mark your calendar now!